The nominations for the 63rd Britannia Filmfare Awards were announced in Hyderabad on Tuesday, 7 June 2016. The star-studded award ceremony will be held at Hyderabad International Convention Centre on Saturday, 18 June 2016. 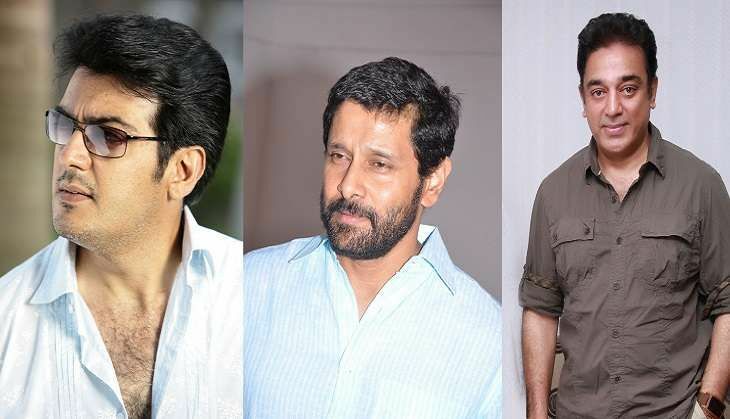 Ajith Kumar, Chiyaan Vikram, Dhanush, Jayam Ravi and Kamal Haasan have been nominated under the Best Actor Category while Aishwarya Rajesh, Gauthami, Jyothika, Nithya Menen, and Nayanthara have been nominated for the Best Actress award. Mani Ratnam's Ok Kanmani tops with seven nominations including Best Film and Best Director.